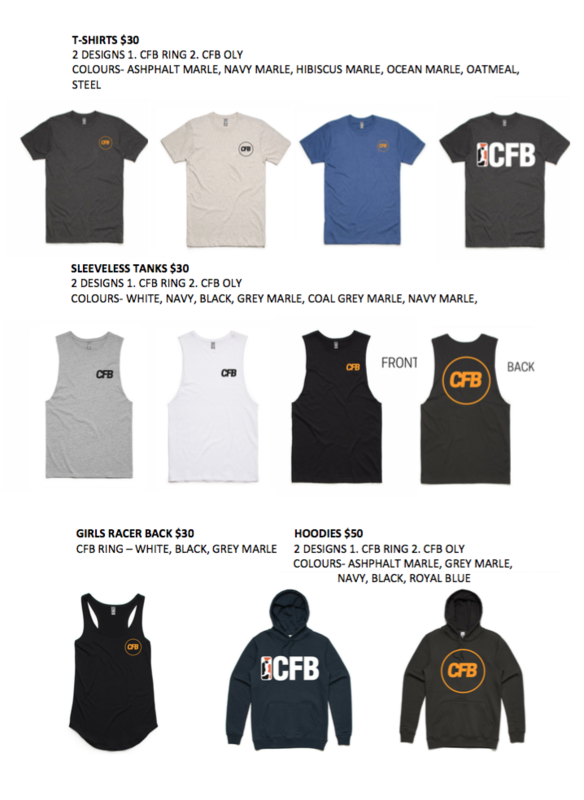 Check out our new CFB gear we're launching in the next couple of weeks. A little more subtle with the new design allowing it to be worn in and outside the BOX! We are taking orders for T-shirts, sleeveless T's and Hoodies ready for the cooler months coming up. There is a fillable form attached that you can fill out and send back to jason@crossfitbrawn.com.au or simply fill one out at the box. Orders need to be completed by next Friday the 17th and paid for prior.